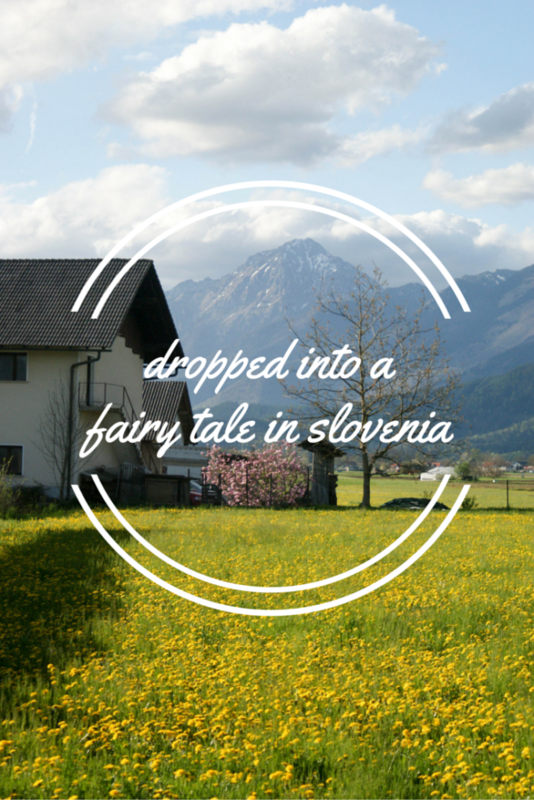 There is only one way to describe Slovenia, like a fairy tale! 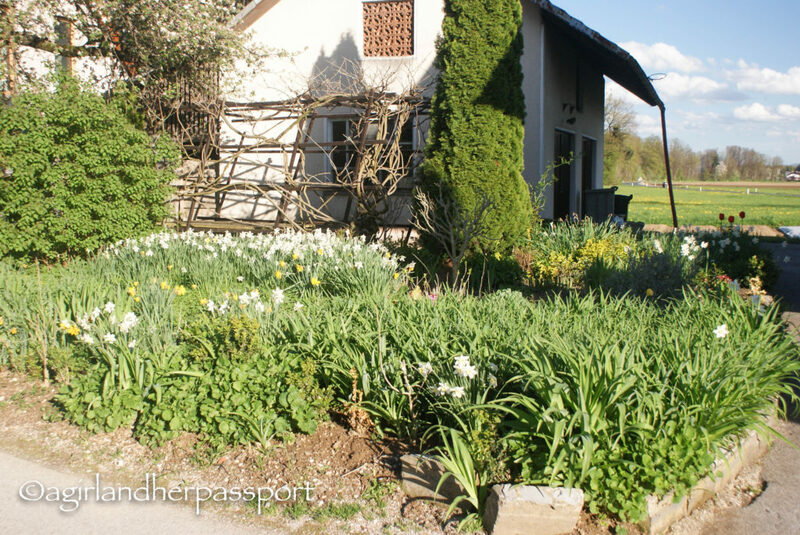 From the minute I stepped out of the airport and was presented with an amazing view of a snowcapped mountain to the fields of dandelions along the highway, Slovenia never disappointed. Even though I was there for a work conference, I would have been happy just to stare at Slovenia if I didn’t get time to sightsee. Lucky me, though, as I had one day to do some sightseeing outside of the conference. The conference was in a small town called Radenci. 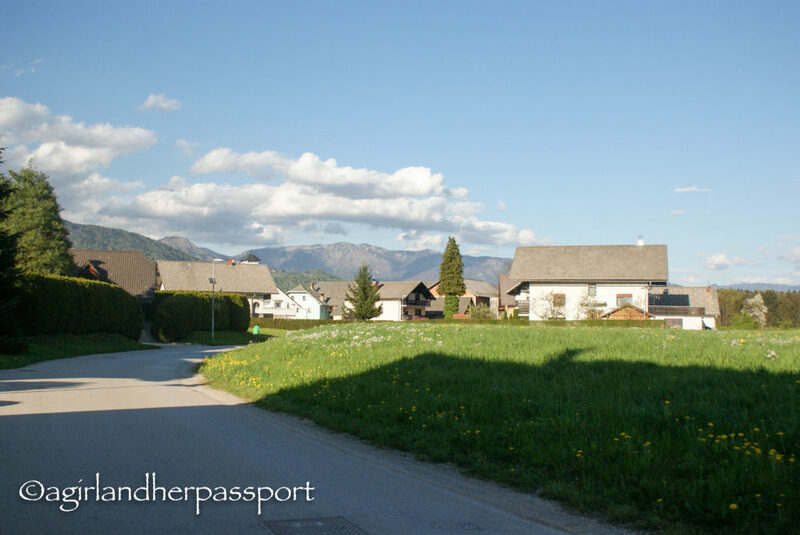 Radenci is a spa town located on the eastern side of Slovenia near the Austrian border. While the hotel was not great, the surrounding area was beautiful. There is a park outside the hotel, which I am still not 100% on the official name of, but if you google Radenci Park, it comes up. The park seems to be the old town center with the old spa hotels located in the park. In the summer, there are restaurants in the park and a waterpark. 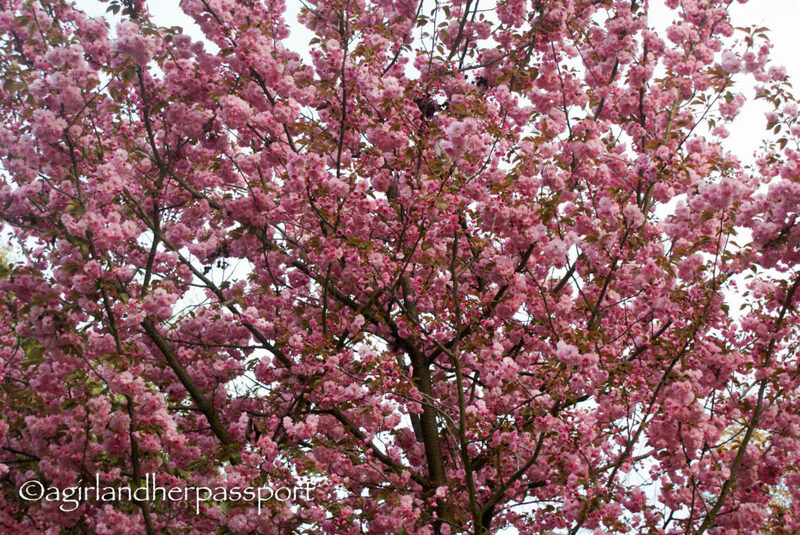 Winter had just left Slovenia, and the flowers and trees in the park knew it! I have really come to love driving in a foreign country. I see small towns and get a feel for how the locals drive. Unfortunately, on this trip, I didn’t have a data connection so I couldn’t take any side trips. Each adorable town had at least one tall church steeple that I could see from the highway that made me want to exit every few minutes. Many of these towns were on the tops of hills and mountains. Slovenia was dotted with small farms and cows throughout. Next time I go to Slovenia, I will be taking a road trip with GPS! After spending two days in Radenci at the conference and walking most of the small town, I started my drive back across the country towards Ljubljana, the country’s capital to make my way to Lake Bled. 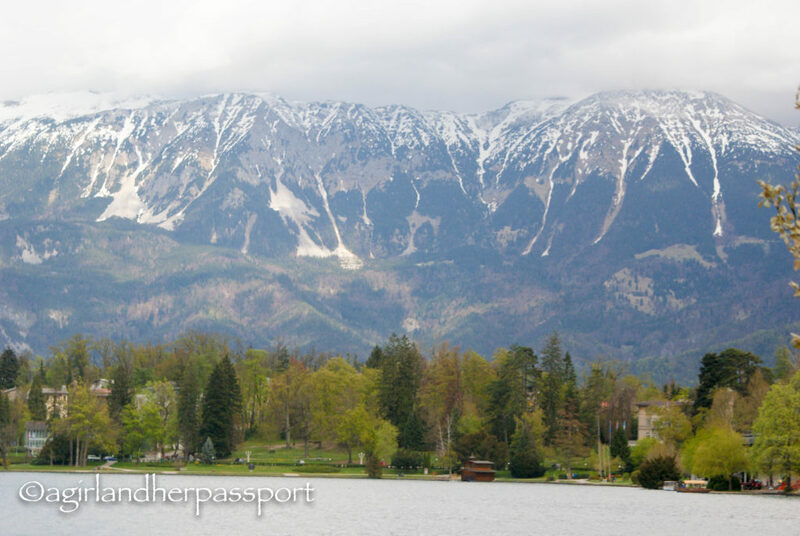 Lake Bled is the country’s most well-known sightseeing spot and is highly photogenic as is the surrounding countryside. The lake itself is a stunning shade of green turquoise with a bright green forest surrounding it. The day I was there it was sunny with a slight breeze, and it was perfect. 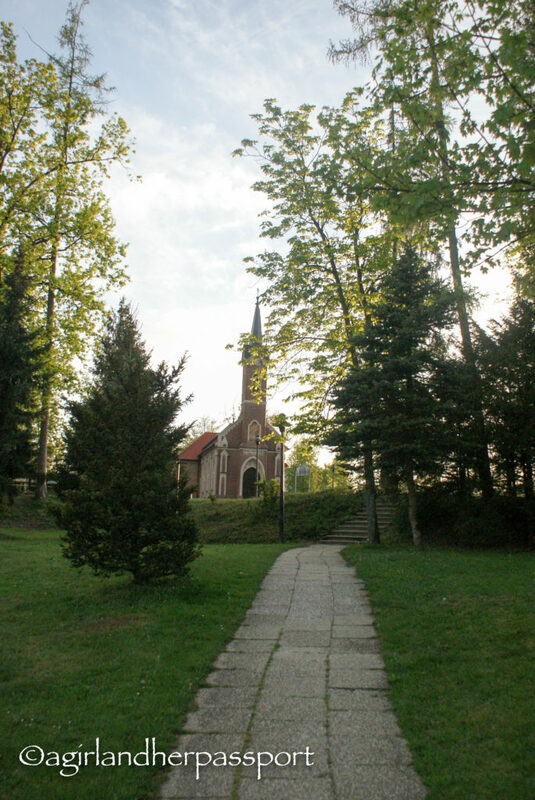 There is an island in the lake that houses a church, The Church of the Assumption of Mary. 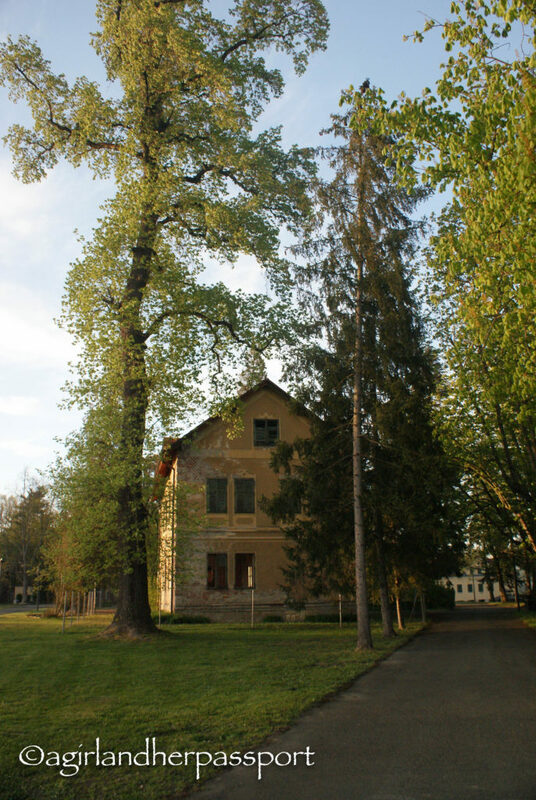 Due to several earthquakes, it has been rebuilt several times, and the current church was built in the 17th century. There is also a bell tower on the island that you can climb to the top of to see the inner workings of the bell and to get a higher view of the surrounding area. First, though, you have to get out there! 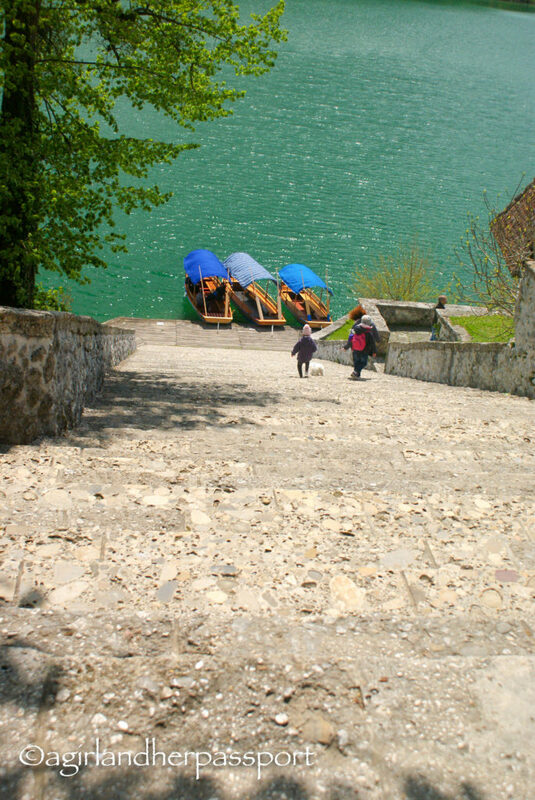 To get to Bled Island, you can either row yourself out in a rented rowboat or take a traditional plenta rowboat to the island. The plenta is a small shallow boat that is rowed by one person and could hold about 20 people. 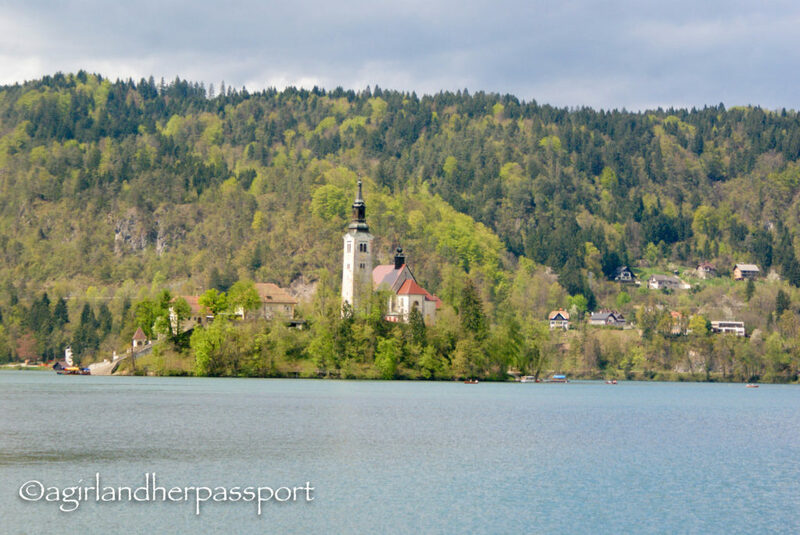 The plenta oarsman is a coveted position in Bled and is handed down in generations in families. The boat seemed a bit unstable as I got in, but once we were under weigh it was more stable. The ride over took about 15 minutes and the boats wait for you for 50 minutes, which is plenty of time to see everything on the island and have coffee at the shop. Of course, you have to climb 99 steps to get to the church, but it is worth every stair. The church is very small and unfortunately, was undergoing some restoration work when I was there, so I could not see the frescos that it is known for. However, I did ring the wishing bell! Legend has it that if you ring the bell three times, you will receive your wish. The sound was so beautiful; I wanted to keep ringing it. It was even better when I went outside and heard others ring it. Right outside the church is the bell tower, in which you will have to climb another set of stairs to reach the top. After all, that stair climbing you can have a rest in the coffee shop or wander around the island to take photos of the surrounding Julian Alps. 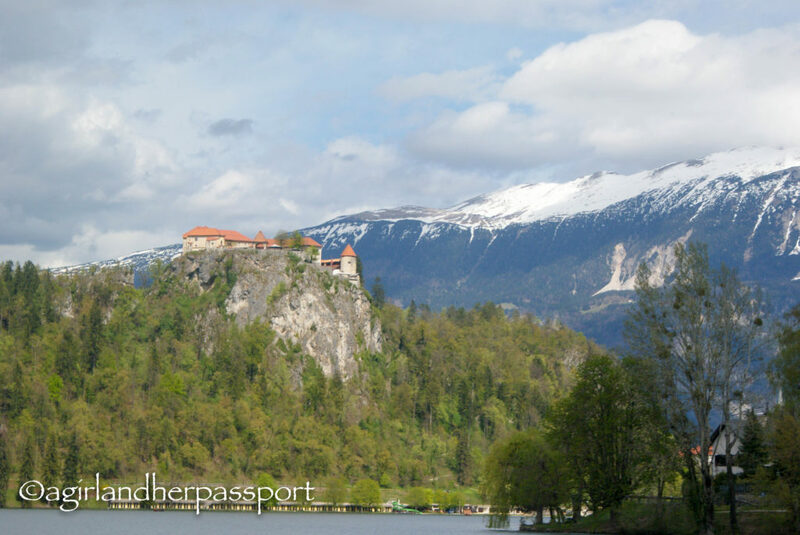 A short drive around the lake takes you to Bled Castle, which was built in 1011! 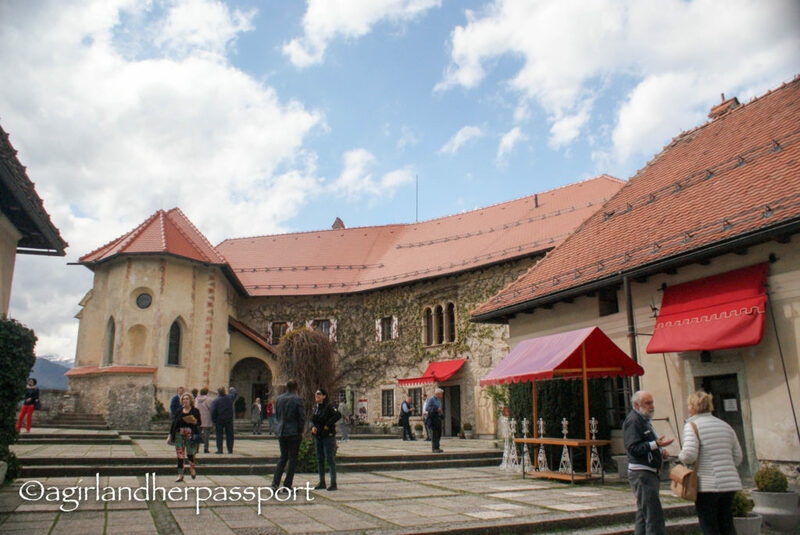 The castle now showcases the history of Slovenia in the museum, print works, forge, chapel and a restaurant. There is a replica of a Gutenberg printing press and a copy of the first book ever printed in Slovenian. The location of the castle on a steep cliff gives you excellent views of the lake and valley. 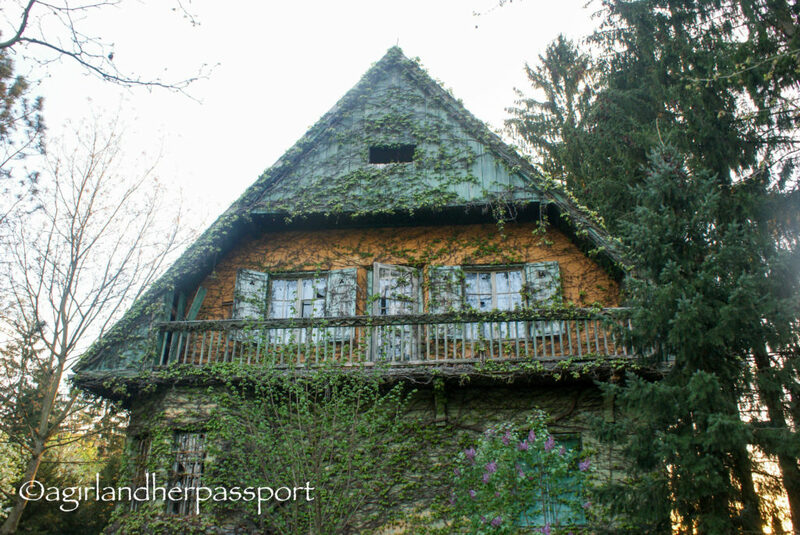 The museum is simple but gives you a thorough understanding of the history of Slovenia. The highlights for me were a visit to the chapel and the restaurant. 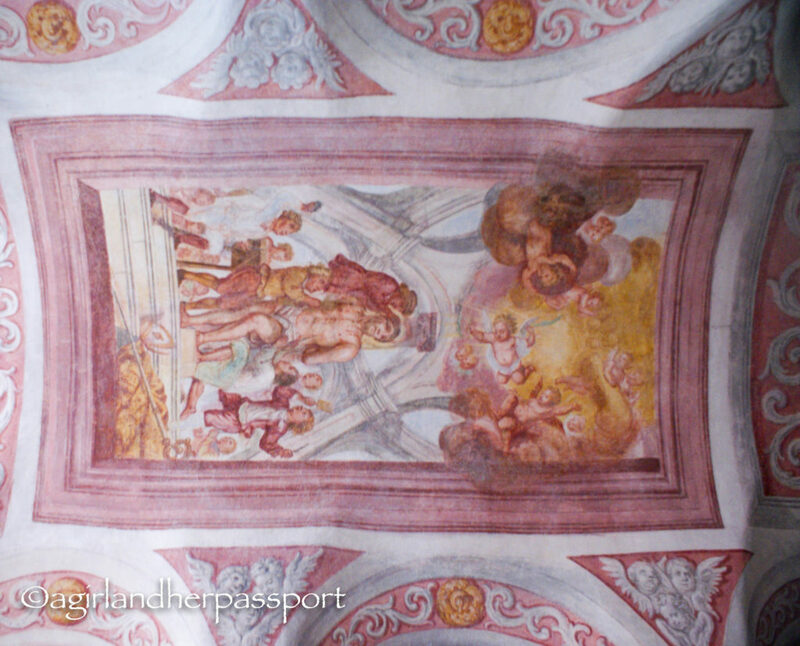 I don’t think I have ever seen a chapel with painted frescos in this salmon hue. The walls were also painted in this color. The restaurant also offered an outstanding view of the lake from its full glass window in the dining room. I know Slovenia has excellent wine, so I ordered a Slovenian wine and stuffed chicken in a king prawn sauce that was melt in your mouth good. All of it was very simple but had great flavor. I owe this to the fact that it was all probably grown within 50 miles or less of Bled. Sadly, I didn’t have time for much else at this point and decided to drive to my hotel for the night. Since my flight was early the next morning, I opted to stay close to the airport instead of in Ljubljana. While the evening was quiet, the scenery was worth it. The tiny village that the hotel was located in was basically a large farm. The house across the street had a barn with cows in it that I could hear. The view from my room was of the breathtaking Julian Alps and even had a small balcony. I spent the evening walking through the town to admire the views and enjoying the fresh air. Getting there: Flights to Slovenia will fly into the Ljubljana airport, which is outside the city by about 25 miles. If you want to go to Lake Bled, there is a shuttle from the airport that can also take you into Ljubljana. If you want to go to the eastern side of the country, you can take a train, but I recommend renting a car as the timings are your own and you can see more. 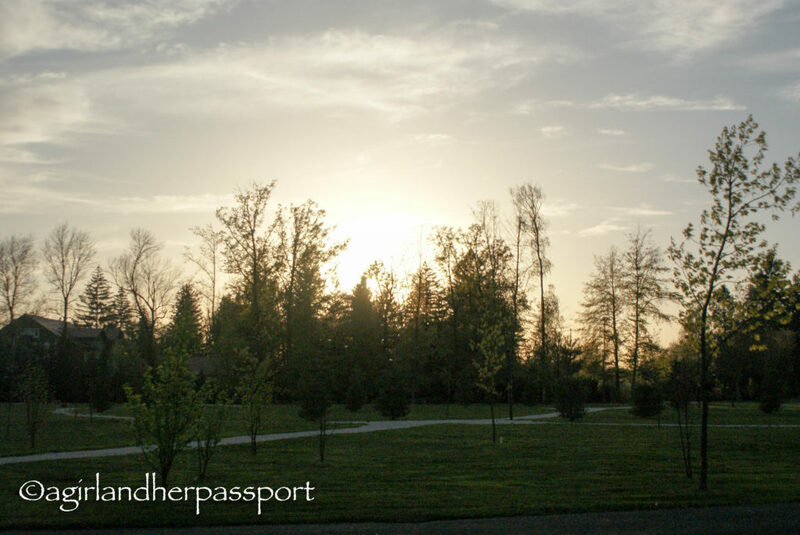 On this short trip of four days, I took over 200 photos. I will post more of them on my Instagram account. 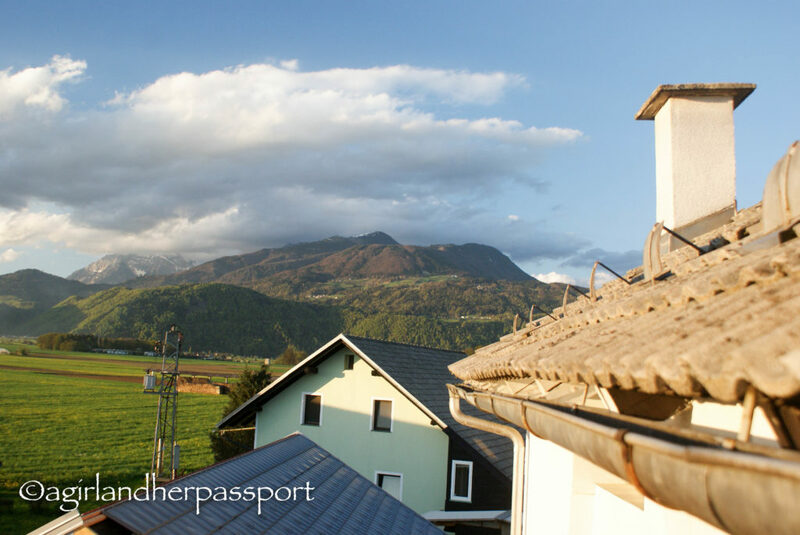 Please go have a look for more Slovenia pictures that I have already started to share! 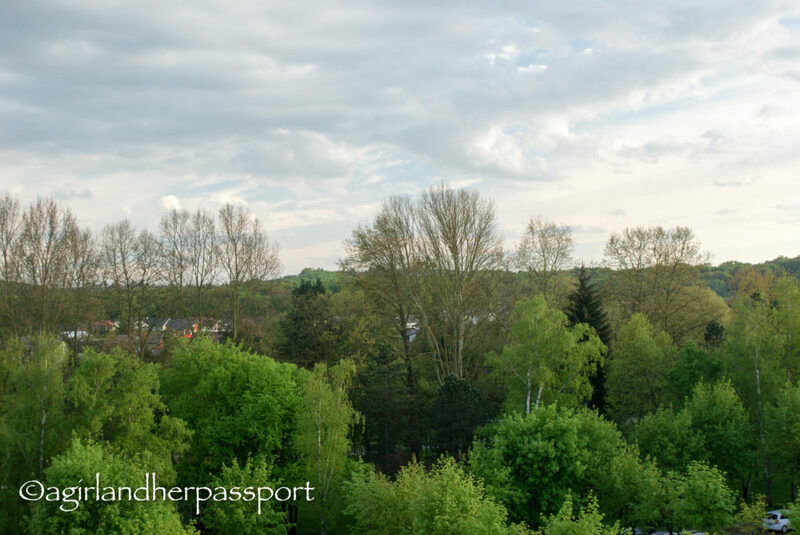 This post contains affiliate links that earn me a commission at no additional costs to you, but allows me to keep sharing my travels with you! Thank you for taking me to Slovenia online! Gorgeous photos. Just had to pin and tweet! You are blessed to travel to places like Slovenia. It does really look like a fairy tale come to life. I am so glad you liked it. Thank you! And thanks for sharing. I am very lucky. I couldn’t believe how pretty it was. Wow! really beautiful I hope someday I could also see that 🙂 it is really like a fairy tale sights! Put it on your list! Thanks for stopping by!! These are such incredible photos ? Thank you! Go, it was so amazing. Wonderful! Who doesn’t need a bit more fairy tale in their lives? !